This TV Room was part of a complete house makeover, updating the house to create a classic contemporary feel. 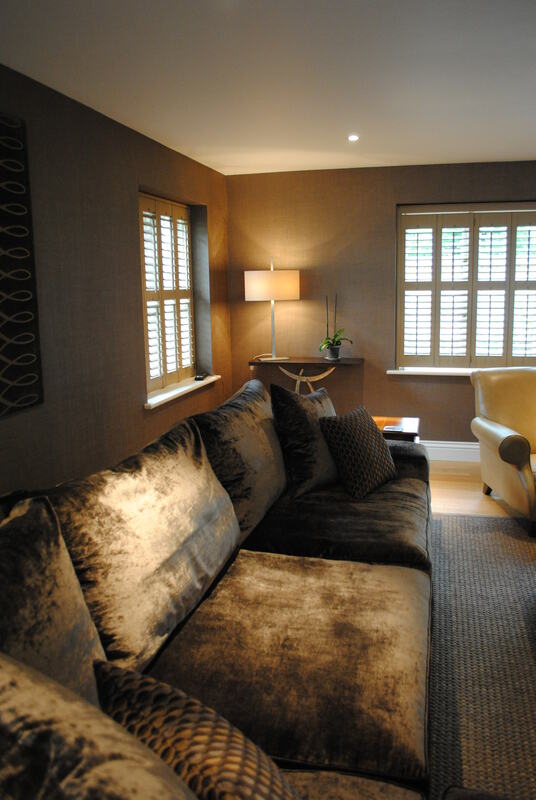 With the use of Abbott & Boyd Elitis textured bronze wallpaper and custom coloured shutters in Farrow & Ball Cat’s Paw we created a very cosy, snug feel to this large room. The emphasis was on luxurious textures and deep rich neutral colours, to create an inviting and relaxing space.